TriMet continues to plan for and invest in bike parking facilities as a key ingredient to accessing transit. As riders around the region look to combine bike trips with transit, providing a variety of bike parking is a necessary component and attractive alternative to bringing a bike onboard already crowded trains and buses. A new Bike & Ride facility will open in Hillsboro soon with two additional facilities opening by the end of the year. Work is near completion on TriMet’s Orenco Bike & Ride facility, which opens soon. Especially during rush hour, MAX trains and buses are often crowded with full bike racks, making riders with bikes have to wait for another train. A system of Bike & Ride parking facilities helps to alleviate that congestion by allowing riders to park their bikes, and then get on transit to continue their trip. Draft concept for new Bike & Ride facility at the Goose Hollow/SW 18th Ave Station. 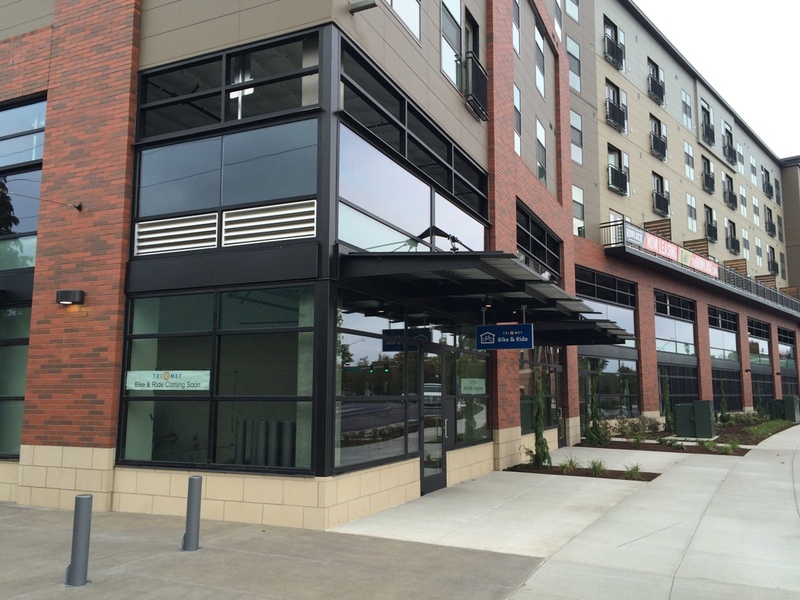 The project at Orenco is assisted by a grant from Metro, with matching funds from TriMet. The projects at Goose Hollow and Beaverton Creek are assisted by an Oregon Department of Transportation ConnectOregon grant, with matching funds from both Washington County and TriMet.